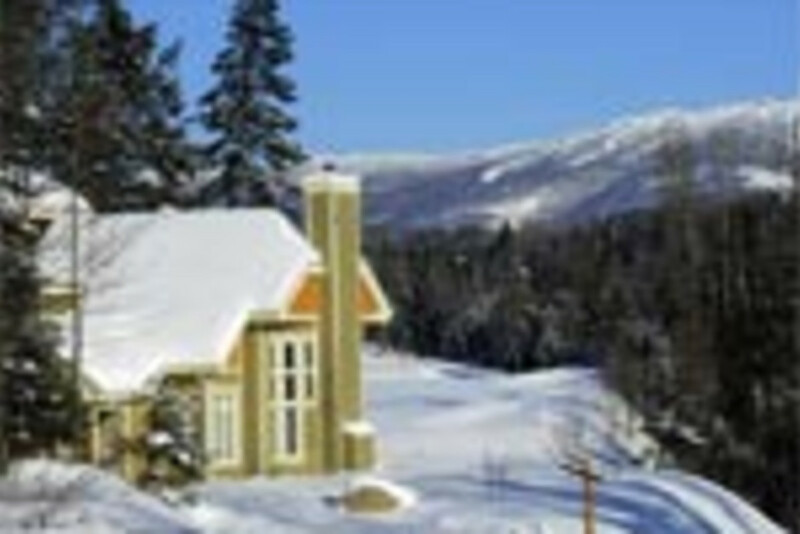 Built directly on the La Bête golf course, with Tremblant's majestic mountains as a backdrop, Oasis is designed for golfers and anyone who wants to enjoy the region in a quiet setting. For summer, this charming community has two beautiful pools within walking distance. 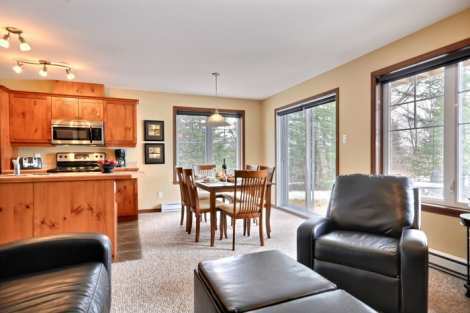 Oasis is located less than a ten-minute drive away from the town of Mont Tremblant and Tremblant Resort Village, from restaurants, shops and a whole array of activities which to please everyone. Lovely, spacious and luxurious condo that's great for families. 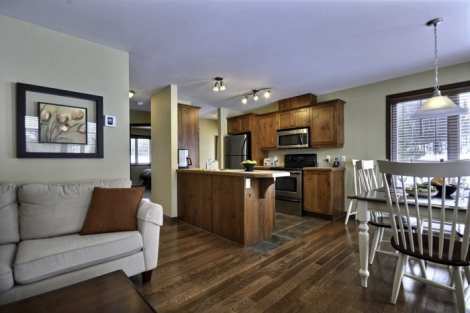 We love the wood floors in the common areas, the fireplace and the well-equipped kitchen with large counter. The one-storey design encourages togetherness and communication during precious vacation time. The two beautiful and comfortable bedrooms will let you enjoy a good night's sleep so you can really take advantage of the next day's activities. This warm and welcoming, well-maintained location includes air-conditioning, high-speed internet access and TV with cable. Luxurious condo with plenty of natural lighting offering a view of the golf course and ski trails. Interior design is tasteful and contemporary, with comfortable furnitings. Partial air-conditioning and a wood-burning fireplace ensure comfortable living year-round. The open space is perfect for entertaining. Wireless access to high-speed internet, a cable TV and a DVD player are also available for your entertainment. The dining corner extends onto a terrace in summer. Have a drink while enjoying the view of the golf course or prepare a meal on the barbecue. It's a perfect spot to relax and share special moments.